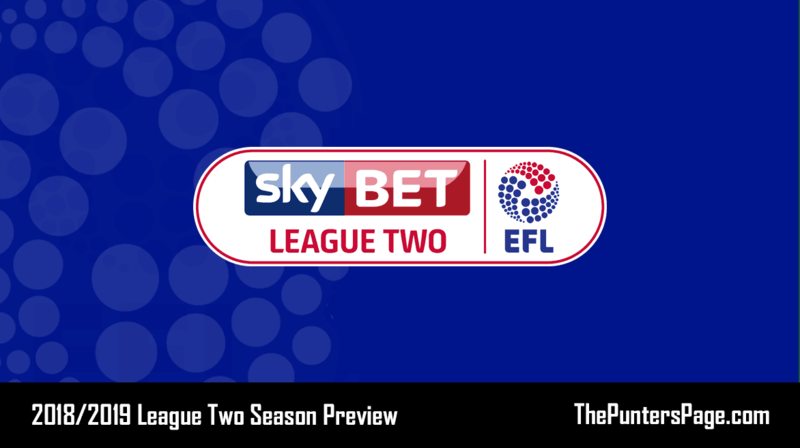 Football League expert Tom Love (@TomLove_18) provides us with an in-depth ante post betting preview of the 2018/2019 League Two season with a focus on the outright, relegation and top goalscorer markets and pens his best bets. Last season in League Two saw a major shock with relegation candidates, Accrington, actually winning the title. Could another outsider gain promotion in the 2018/2019 campaign? Bookmakers have MK Dons and Notts County heading the promotion market at 7/4 and 9/4 respectively, that’s understandable. Behind them there are the likes of Mansfield, Lincoln and Northampton and out of that top 5, the side that makes the most appeal is Notts County. Kevin Nolan’s men were in the mix for automatic promotion last term but were pipped by Wycombe and then beaten by Coventry in the play-offs. They’ve kept the core of their side that is full of experience and they’ve added to it in a wise manner. Classy midfielder David Vaughan crosses the river Trent from Forest and joins the likes of Jon Stead with Premier League experience. Nathan Thomas comes in on loan from Sheffield United, a direct winger who performed very well for Hartlepool in this league a couple of seasons ago. Dutchman Enzio Boldewijn was one of Crawley’s best performers over the last few seasons and looks an eye catching capture. Boldewijn and Thomas will be charged with supplying probably the best strike force in the league in Kane Hemmings and Kristian Dennis. League One clubs were sniffing around Dennis who scored 19 goals for relegated Chesterfield last year so it’s a real coup for the Magpies. The slight reservation I have is that there is no Jorge Grant who was probably one of the best in the division last year – he returned to Forest and was loaned out to League One Luton. How they will cope without his spark will be interesting. But they have strength in depth now with strong attacking options and of the favourites they hold the most appeal. They’re 7/1 to win the league outright. Two sides further down the list make appeal in the promotion market. Given the fact four sides gain promotion from League Two, there is great scope to profit, however the prices do reflect that. Colchester (5/1) are a fairly young side but certainly one full of promise. Their academy is producing talent and manager John McGreal isn’t afraid to blood their youngsters into the starting line up. Frankie Kent, Tom Lapslie and Sammie Szmodics are all likely to play higher in the football pyramid in years to come. All three are under the age of 23 and all were regular starters last season – they’ll only improve. Szmodics is a player that I’ve kept tabs on ever since I saw him score a hat-trick against Bradford City in the FA Youth Cup a few seasons ago. He’s a clever player, great with the ball at his feet, good pace and a nice finisher; he could be key for the Essex side. Bournemouth were interested in the player but Colchester is a place were he will play regularly. I expect him to be one of the best players in the league this season. In the transfer market, the U’s have added more of an attacking threat with Luke Norris coming from Swindon and Frank Nouble arriving from Newport – both were regular starters for league rivals last year. They also bought in Harry Pell from Cheltenham who chips in with his fair share of goals from midfield. Aaron Collins has been brought in on loan from Wolves and they still have Mikael Mandron. They have serious strength in depth going forward and will be a nightmare to defend against next season. Port Vale (7/1) had a disappointing campaign last season but there was an almost instant upturn in performances and results when former Gateshead manager Neil Aspin came in. Aspin, who made 348 appearances for Vale as a player, is a manager that I like. He sets high standards, he was a no nonsense player and he’s a no nonsense manager. His Wikipedia page states that he refuses any of his players to wear gloves in first team games. You could tell he was fuming with their drop off in performances towards the end of the season and that prompted him to state that 10 of the current squad would get shipped out and 10 will come in and that is exactly what has happened. Aspin has brought in seasoned campaigners who know the league well. Marcus Harness on loan from Burton Albion had a successful time with the Brewers in the fourth division. Louis Dodds’ return has also got the fans firmly on side. He had a superb link up with Tom Pope when the two were together when Vale were promoted from League Two a few years back. 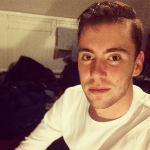 Ricky Miller arrives from Peterborough, a player Aspin will have seen a lot of in the National League scoring tonnes for Dover which got him his move to Posh. Leon Legge is a steady League Two centre half, if a bit slow on the turn. Him, along side the highly thought of Nathan Smith, could prove a solid partnership. Luke Joyce is a good midfielder for this level and Tyrone Barnett will hope to settle in Staffordshire after becoming a bit of a Football League journeyman. Scott Brown is one of the best goalkeepers in the league and they’ve done well to get him from Cheltenham. There’s a lot to like about this Vale side going into the 18/19 season. The spine of the side looks strong and the potential in a Tom Pope and Ricky Miller front line will have Valiants’ fans optimistic. I think at 7/1 to be promoted they are a great value bet. 11/8 on a top half finish also looks big. With only two sides to be relegated in League Two, it does make it difficult to pinpoint a team. There are two sides however that catch my eye who will struggle. Yeovil (7/2) probably make the most appeal of the shorter prices. They really struggled last season and they’ve lost probably their most influential player in Otis Khan who has gone to Mansfield. Darren Way isn’t a manager who fills me with confidence and it’s hard for him to bring in quality players with budget restraints and geographically Yeovil is an area that is quite out of the way which can put players off. They also lack a consistent goalscorer. Olufela Olomola did well when on loan last season but he is now at Scunthorpe. Therefore, they will be relying on Francois Zoko and Alex Fisher for goals which doesn’t inspire me Defensively they’re quite poor and I can see teams beating them quite comfortably. Oldham (18/1) could fall foul of a double relegation. They utilised the loan market pretty well last year bringing in Eoin Doyle, Duckens Nazon, Kean Bryan and Jack Byrne. However, three of those are no longer at the club. They’ve brought in a few players from the French lower leagues and such projects rarely bare fruit. Their squad looks very thin on the ground. Craig Davies has left for Mansfield, Ousmane Fané is out for the first 4 months of the season, while Jose Baxter who has come in has had fitness issues over the last few years. They also have a manager in Frankie Bunn who is has no experience as a first team manager. There’s not much to get excited about at Boundary Park and 18/1 does look too big. Even money on them to finish in the bottom half looks like a corker of a bet to me. As mentioned earlier, I fancy Port Vale to go well after an underwhelming 17/18 season. Ricky Miller (33/1) hasn’t had the chance at Peterborough yet due to the form of Jack Marriott and Danny Lloyd. Surprisingly, Posh have sold both those players and also decided to sell striker Miller and loan fellow striker Idris Kanu both to the Burslem based club. Miller is likely to start up front with the physical presence of Tom Pope alongside him and that is a promising looking partnership. Miller tore up the National League with Dover in the 15/16 season scoring a mesmerising 45 goals in 46 games. Former manager John Still compared his style of play to that of Kevin Phillips with his predatory instincts in the box and classy finishing. Now is his time to show he can make the step up to Football League standard and he’s at a club where he will get regular starts. 33/1 looks an attractive each way bet for the marksman.